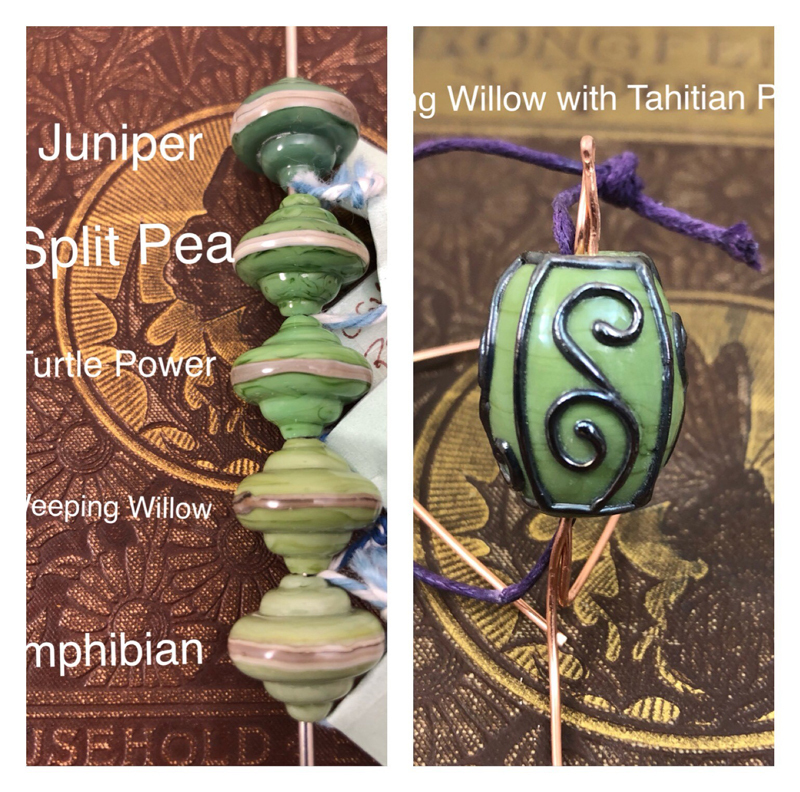 Click here for other interesting Weeping Willow Ltd Run discoveries. Special thanks to Pati Walton & Caroline Davis for providing the photos in this section. 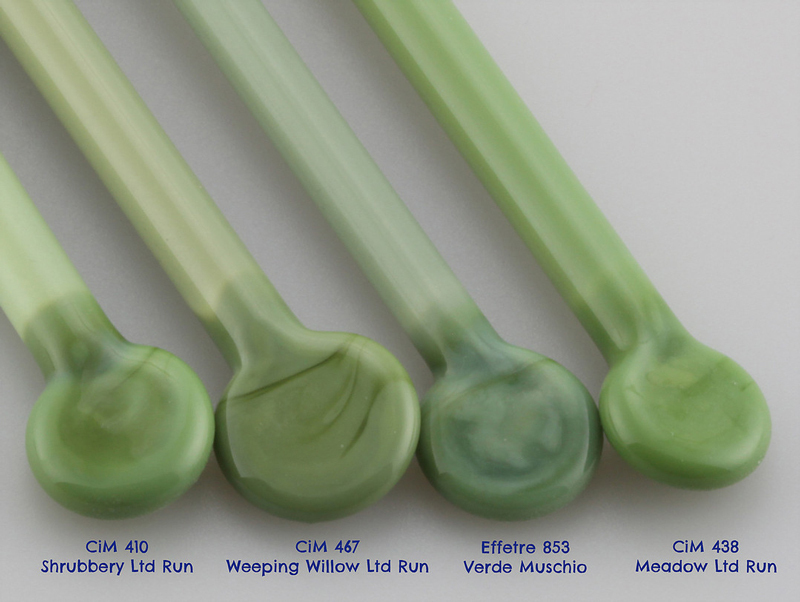 "Like many other greens, Weeping Willow develops a reciprocal dark line reaction with Ivory. 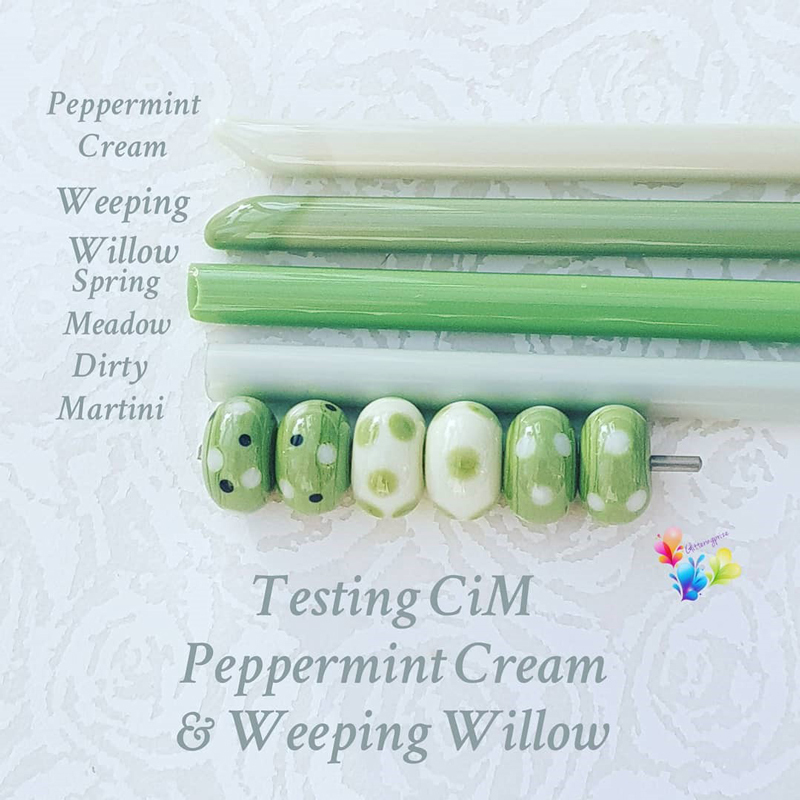 Weeping Willow, also like many other greens, is a very streaky colour and separated on top of all of the colours I used it with." Read more at Melanie's blog. 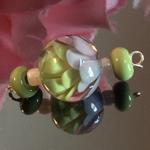 "Weeping Willow is a soft green with a hint of grey. 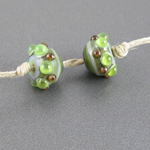 It is a little streaky but it's not too noticeable in the final bead. 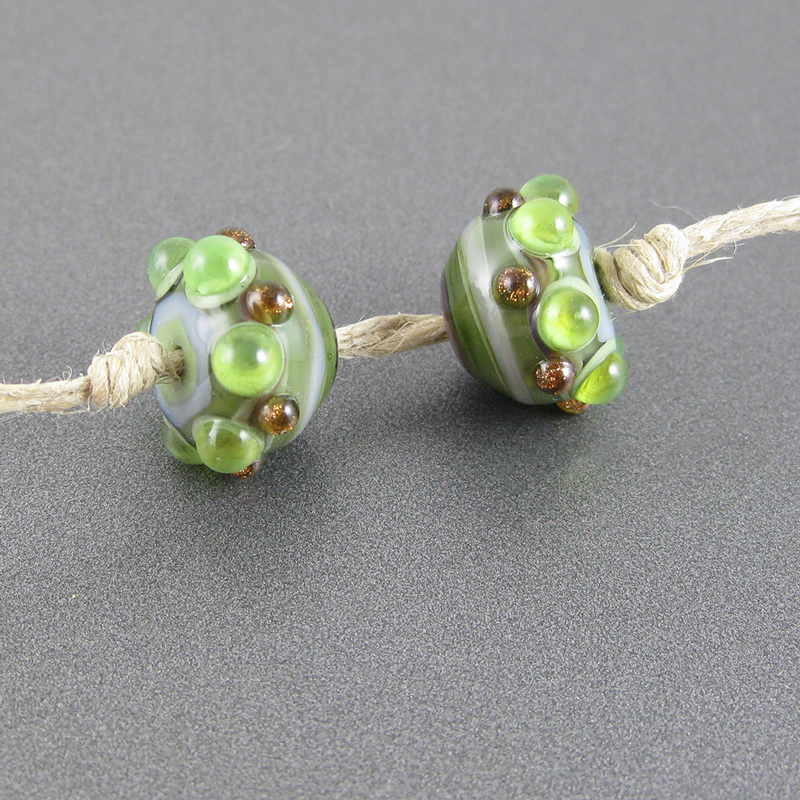 The barrel bead is a base of Weeping Willow with Tahitian Pearl stringer." 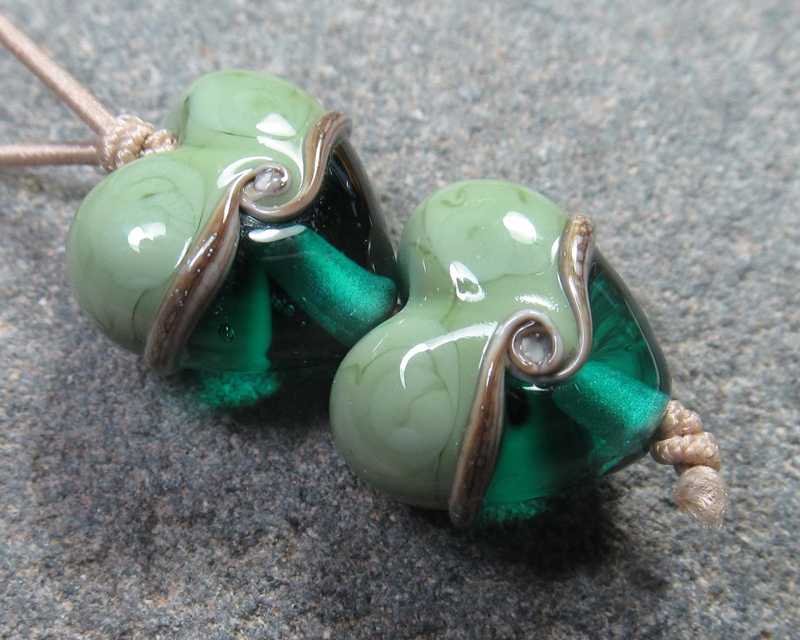 "This pair of heart beads are a Weeping Willow/Aiko combination with a wrap of silvered ivory stringer to separate them. 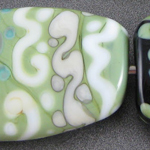 As with Troi, you can see some striations and streaks that give clues to how additional glass was added to form the shape. I think it looks very pretty! 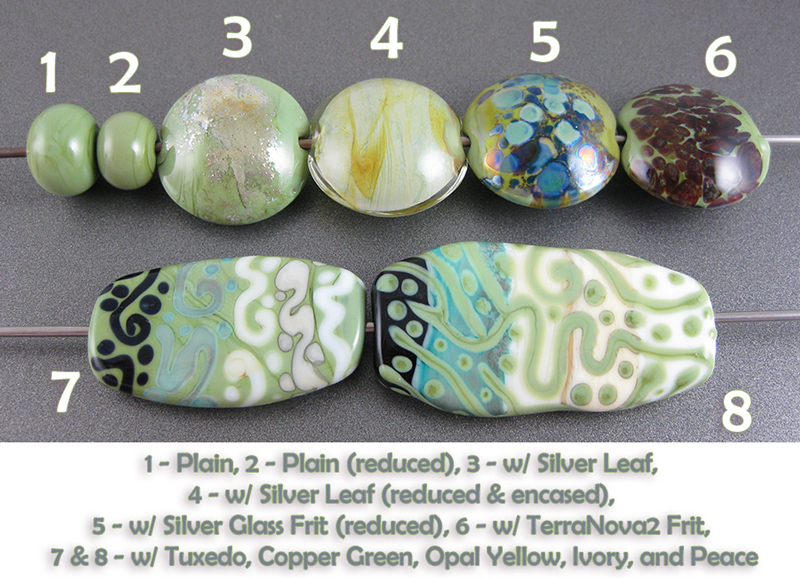 Weeping Willow does not seem to be affected by fuming from the silvered ivory stringer." 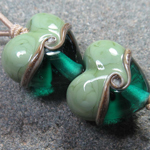 Read more at Kitzbitz Art Glass' blog. 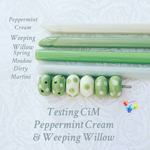 "Two new beautiful colours from CiM that go well together: Peppermint Cream & Weeping Willow. Weeping Willow is a pretty green, close to Spring Meadow but has more yellow tones. I made base beads with each and put polka dots with the other, notice how Weeping Willow spreads over Peppermint Cream, but on it's counterpart the colours behave normally. 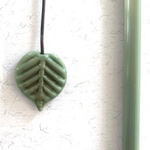 In the rod Weeping Willow seemed to be sensitive to being briefly cooled and reheated, so once used I popped my rod on top of my kiln to keep it warm." 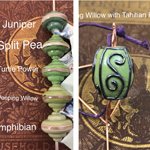 CiM Shrubbery, Weeping Willow, Effetre 853 Verde Muschia, CiM Meadow. See more of Claudia's work. 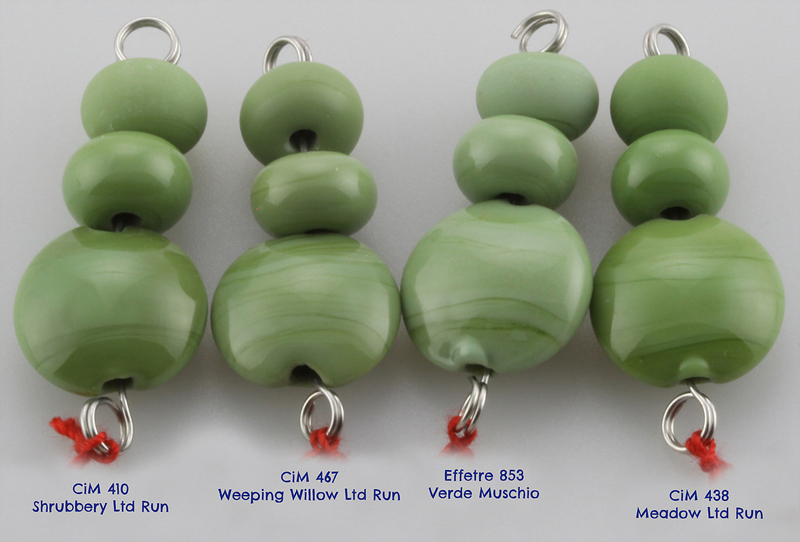 CiM Shrubbery, Weeping Willow, Effetre 853 Verde Muschio, CiM Meadow. See more of Claudia's work. 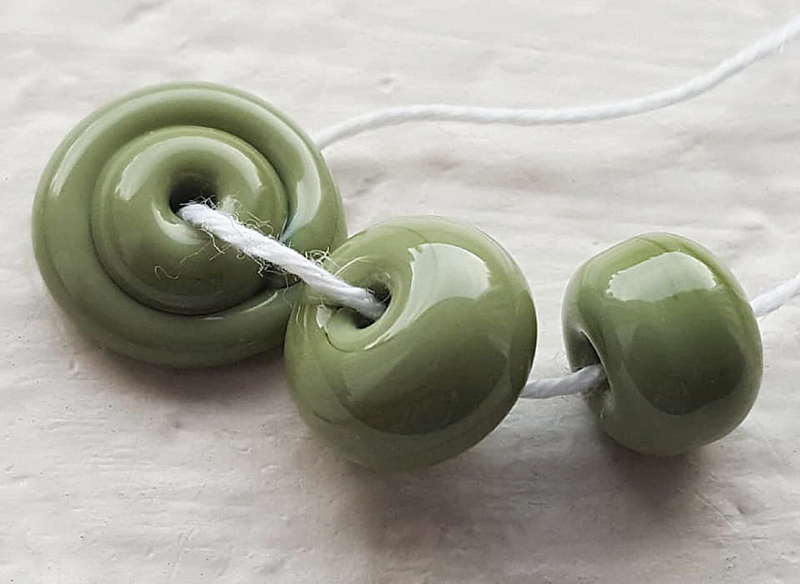 "Weeping Willow is a beautiful, soft shade of green with a touch of grey to it. It’s a little streaky, but that’s opaque greens for you. 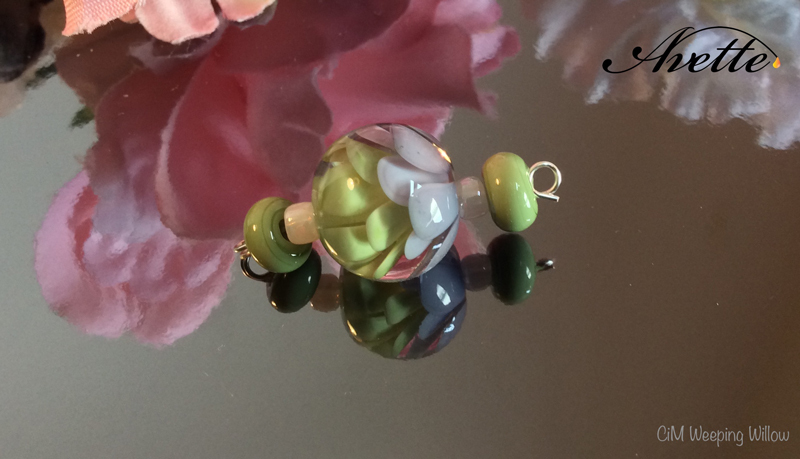 It’s a trouble-free glass to use and I really like the colour." Read more at Laura's tumblr. 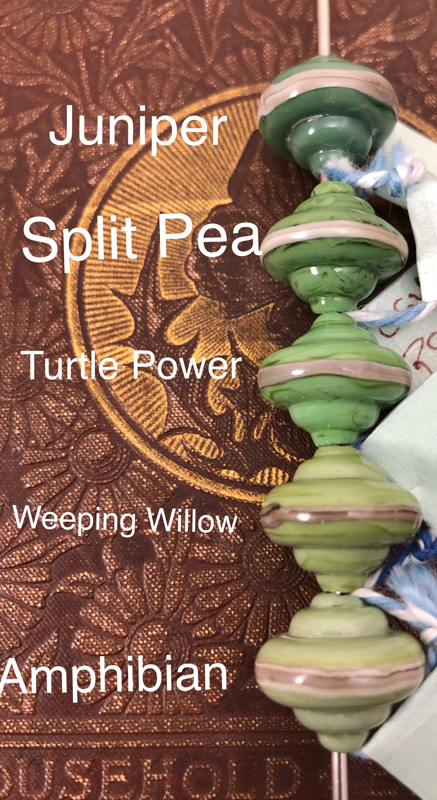 "Weeping Willow is a muted green. 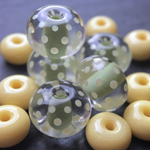 The opaque glass reminds me of my Mom’s split pea soup. 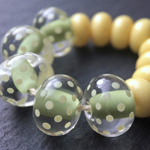 Easily shaped in a bead roller, the glass can also hold form when decorating with layered dots. 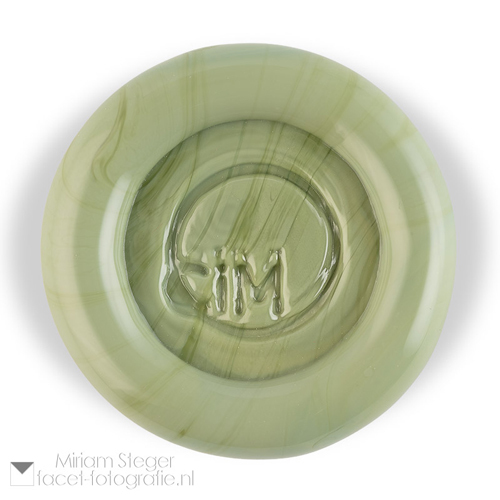 The glass is lighter than CiM Olive, but more gray then CiM Meadow. 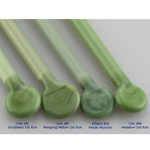 No shocking or bubbling occurred during testing." 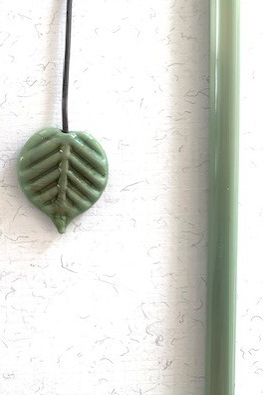 "A milky sage green colour that makes a great colour for leaves or a subtle green. Would also compliment the neutral hues very well. Seen here with Effetre Light Lavender Opaque."